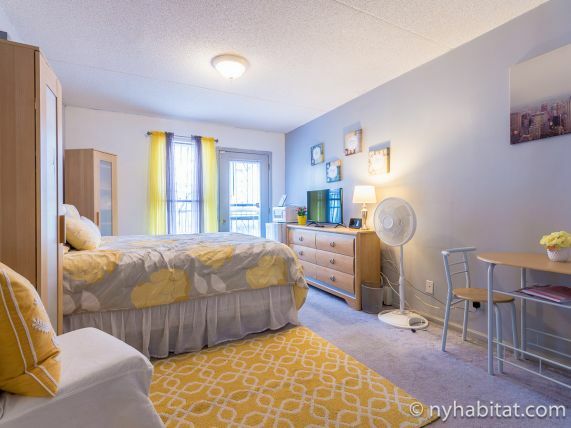 At the corner of Adam Clayton Powell Jr Blvd &amp; W 117th Street, in the New York City borough of Manhattan, you will find this fully furnished bedroom for rent with private bathroom. 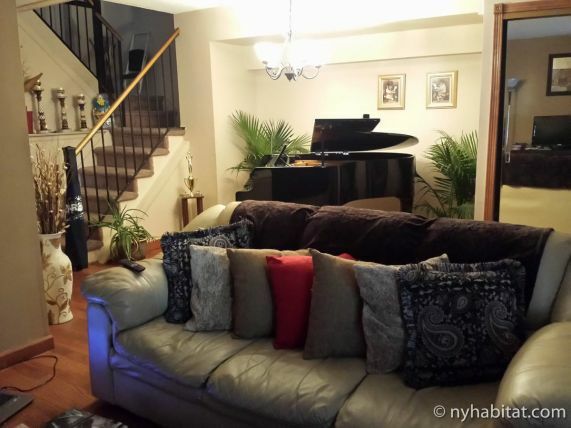 On the parlor level of a duplex apartment, this room for rent is found in a townhouse on a tree-lined street of Harlem. 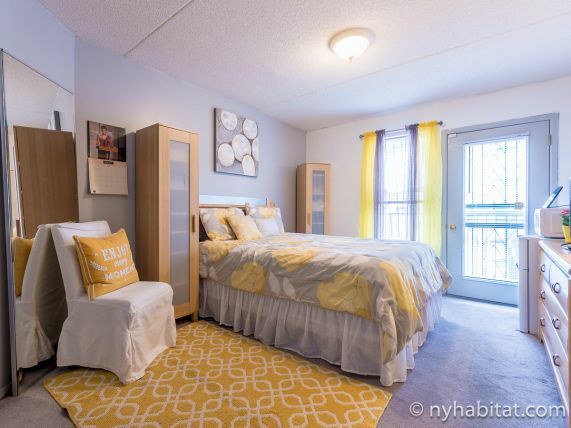 It features wall-to-wall carpeting, a large closet for storage space and a private balcony. It is located on a separate floor, for maximum privacy. There is a double-sized bed, a flat screen television and a dresser. 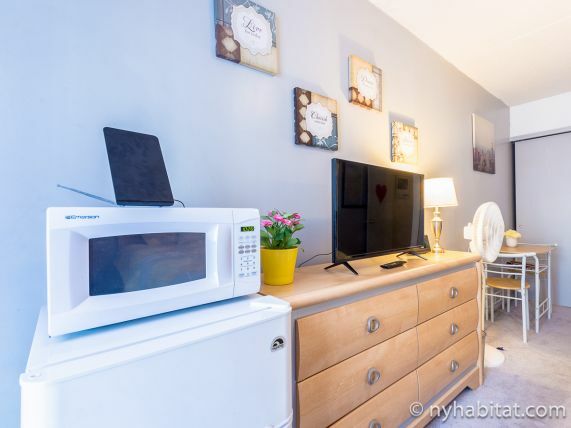 For your convenience, the room features a small fridge and a microwave as well as a dining table for a quick bite from the comfort of your own room. You will find a private bathroom on the same floor. A kitchen, a living room and a second bedroom are located downstairs. Please note that this is a shared apartment. The bedroom and bathroom are private but the kitchen and living room are shared with a roommate. 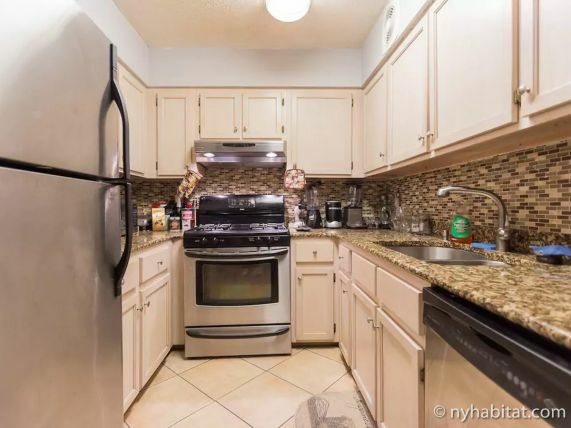 Transportation is convenient from this location; 116 Street / Lenox Avenue Subway Station (0.1mi) is right around the corner and offers express service to downtown Manhattan as well as other boroughs.